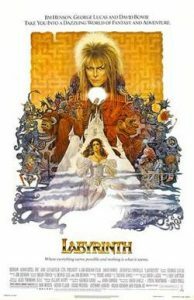 This is a list of movie recommendations of movies similar to Labyrinth. Bear in mind that this list is in no particular order. Jen (Stephen Garlick), raised by the noble race called the Mystics, has been told that he is the last survivor of his own race, the Gelflings. 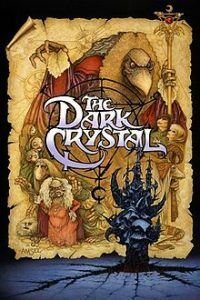 He sets out to try to find a shard of the dark crystal, a powerful gem that once provided balance to the universe. After the crystal was broken, the evil Skeksis used sinister means to gain control. Jen believes that he can repair the dark crystal and bring peace back to the world if he can only find the remaining shard. Dorothy discovers she is back in the land of Oz and finds the yellow brick road is now a pile of rubble, and the Emerald City is in ruins. 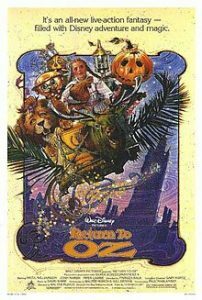 Discovering that the magical land is now under the control of an evil empire, she sets off to rescue the scarecrow, the tin man and the lion with the help of her new friends. 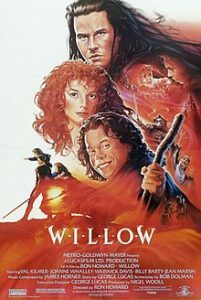 Enter the world of “Willow.” Journey to the far corners of your imagination, to a land of myth and magic, where dream and reality live side by side … to a place that never existed, a time that never was. It is a world where a young man named Willow lives out an adventure that explodes beyond the boundaries of his own hopes and fears. On his way to school, Bastian (Barret Oliver) ducks into a bookstore to avoid bullies. Sneaking away with a book called “The Neverending Story,” Bastian begins reading it in the school attic. The novel is about Fantasia, a fantasy land threatened by “The Nothing,” a darkness that destroys everything it touches. The kingdom needs the help of a human child to survive. 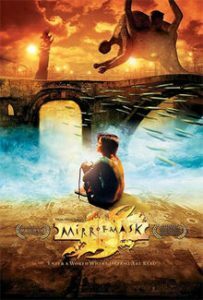 When Bastian reads a description of himself in the book, he begins to wonder if Fantasia is real and needs him to survive. A 15-year-old (Stephanie Leonidas) journeys through a parallel reality to recover a powerful charm that will revive a queen. In this animated musical, the villainous King Haggard (Christopher Lee) plots to destroy all the world’s unicorns. 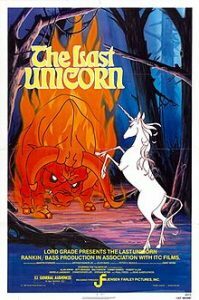 When a young unicorn (Mia Farrow) learns that she’s in danger and that she may soon be the last of her kind, she leaves the safety of her protected forest and enlists the help of Schmendrick (Alan Arkin), a gentle, albeit clumsy, sorcerer. Together, they embark on a long and dangerous journey with one goal: to defeat Haggard and save the unicorns from extinction. 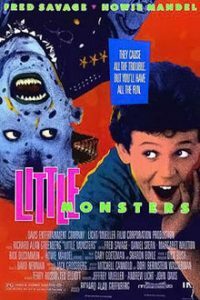 Brian (Fred Savage) isn’t scared of the monster living under the bed. On the contrary, when he gets to know the wild-eyed boogeyman, Maurice (Howie Mandel), the pair become fast friends. 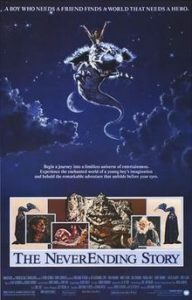 During the night, Maurice takes his young charge into the netherworld of monsters, where they have a great time making mischief in the lives of sleeping children. But Brian’s opinion of Maurice and his freewheeling lifestyle changes when he discovers that he himself is turning into a monster. After a comet disrupts the rain cycle of Earth, the planet has become a desolate, barren desert by the year 2033. With resources scarce, Kesslee (Malcolm McDowell) — head of the powerful and evil Water & Power Corporation, the de facto government — has taken control of the water supply. 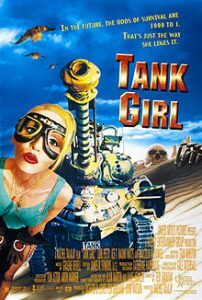 Unwilling to cower under Kesslee’s tyrannical rule, a pair of outlaws known as Tank Girl (Lori Petty) and Jet Girl (Naomi Watts) rise up, joining the mysterious rebel Rippers to destroy the corrupt system. While staying at a hotel in England with his grandmother, Helga (Mai Zetterling), young Luke (Jasen Fisher) inadvertently spies on a convention of witches. 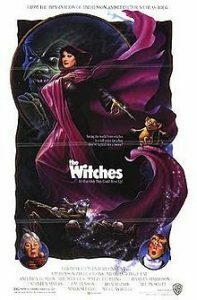 The Grand High Witch (Anjelica Huston) reveals a plan to turn all children into mice through a magical formula. When they find that Luke has overheard, the witches test the formula on him. 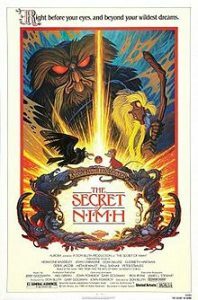 Now, with the help of Helga and the hotel manager, Mr. Stringer (Rowan Atkinson), Luke the mouse must fight back against the witches.